Flip-flops are fine for the pool or beach, but long-term wear may damage your feet. Many of us think of summer as carefree days of picnics and beach outings, combined with relaxed evenings at outdoor cafés and backyard parties, but we need to remember that our footwear decisions should be anything but carefree and relaxed. 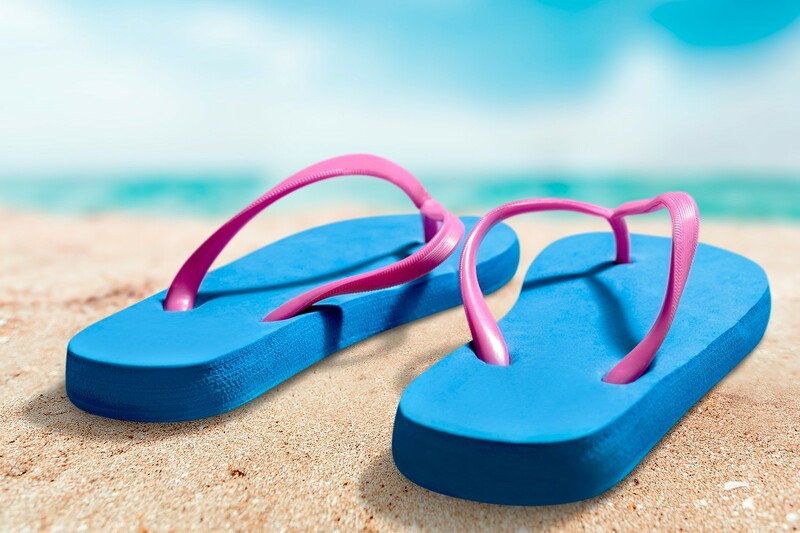 Flip-flops may be the easiest shoes to grab when you are running out the door for a busy summer day, but flip-flops are best left for the beach or public pools when going barefoot is the alternative. Flip-flops and at summer sandals can do more harm than good when worn for long periods of time or in inappropriate situations. Feet become unable to serve their purpose of allowing the body to adapt to the weight-bearing surfaces they encounter. Shoes are meant to be an extension of the feet and become a barrier between them and the surface below. I often have patients tell me that they injured themselves when their flip-flops slipped off and their feet were put in unnatural positions and situations. Most of us do not have what would be called a normal foot and instead have either a flexible flat foot or a rigid high-arch foot. Both of these foot types require some amount of arch support, which typical flip-flops and flat sandals do not offer. The flat foot, or flexible at foot, needs some support in the arch to prevent overuse and strain of the arch ligament and tendons. Every summer, podiatric offices are filled with people with injuries from flip-flops including persistent blisters between their toes. Injuries from wearing flip-flops on escalators or simply by tripping over the ends of the sandals are very common, and while less common, traumatic incidents from lawn mower accidents occur every year. Other summer activities such as bike riding, rock climbing and playing sports can be hazardous because these shoes easily slip off your feet. While not wearing this type of footwear during athletic activities may be common sense, what is less obvious is what flip-flops can do to your feet and legs when worn simply for walking over an extended period of time. Muscle pain, strain and fatigue easily result from a day of walking in unsupportive shoe gear. A high arch foot is susceptible to shock and can sustain strain on the plantar fascia — the broad ligament that runs on the bottom of the foot — without proper support. Heel pain due to plantar fasciitis, or even a tear in this tissue, is very common in the summer, a result of the lack of arch support. The lack of a heel in a flat sandal is another factor when it comes to summer shoes. Heel support is necessary to stabilize the entire foot and without even a little support, the foot can become unstable and susceptible to wear and tear. Not all flip-flops are created equal. There are summer sandals that offer some support while providing the summer flip-flop experience. Avoid those that are completely flat and so flimsy that you can fold them in half from heel to toe. By selecting sandals that have an arch and slight heel counter (a built-up area at the sides of the heel region that encloses the heel at least slightly) you will have some support that is necessary for everyday walking. Flip-flops made of shock- absorbing materials are beneficial to those with high- arch feet. Look for a sandal that will accommodate a custom orthotic provided by a podiatric physician. The custom orthotic, a prescriptive device, will control your own foot’s biomechanics so that you are less dependent on the shoe, or sandal, to provide external control. Finally, choose a flip-flop that has a soft, comfortable “toe thong” so that you aren’t forced to treat a blister between your two toes for the rest of the summer. Marlene Reid, DPM, FACFAS, FASPS, is a spokesperson for the American Podiatric Medical Association (APMA) and expert on women’s foot health and shoes. She is a former chair of the APMA’s Public Education Committee; past president of both the Illinois Podiatric Medical Association (IPMA) and the American Association for Women Podiatrists; and currently IPMA Trustee, APMA Delegate, Illinois Licensing Board member and National Association of Practitioners Podiatric Chair. 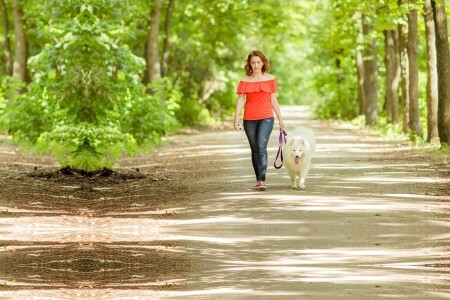 Dr. Reid practices in Naperville, Illinois, with her husband at Family Podiatry Center.